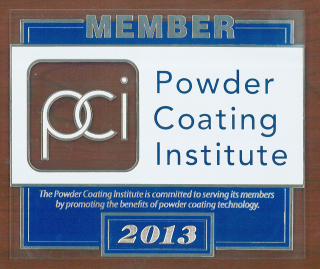 We are located in South Central Illinois, and are one of the largest and best powder coat finishing companies in the Midwest. 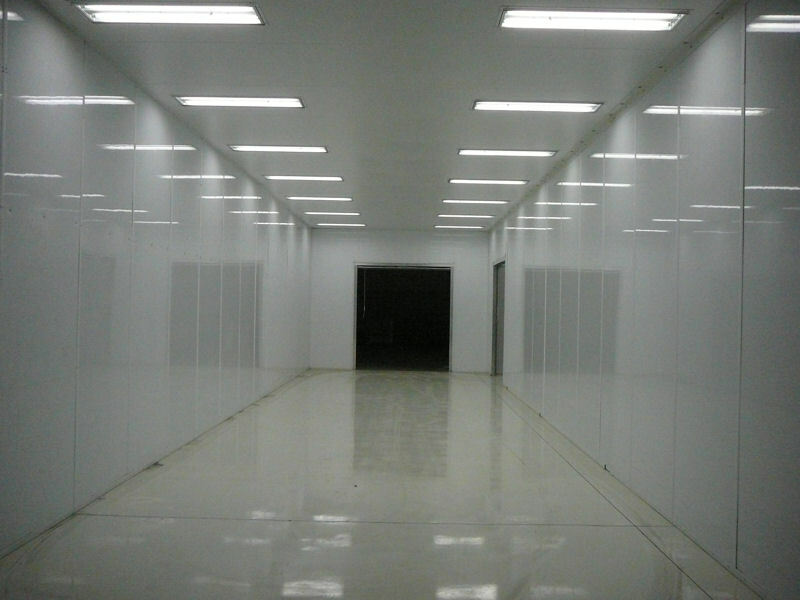 Our Powder Coating lines are massive. 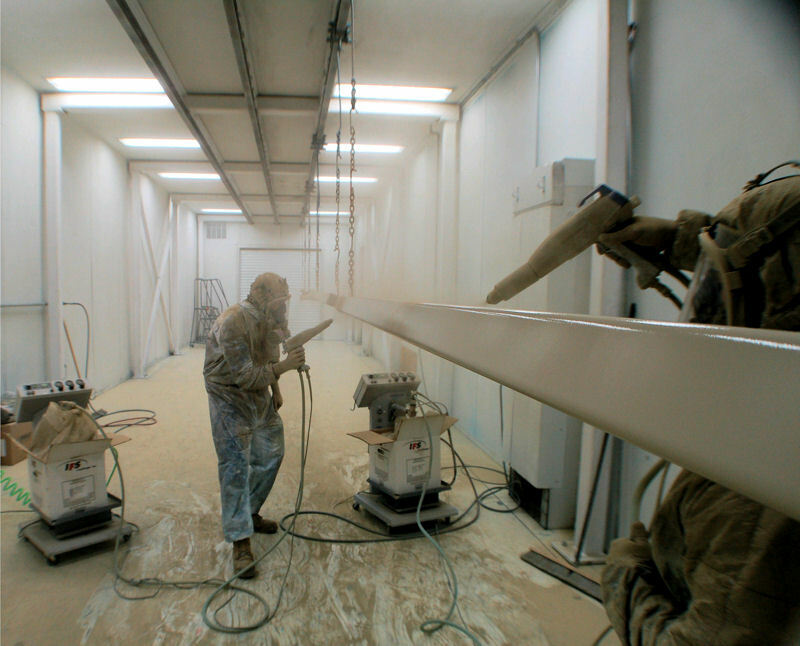 We have the capability to paint up to 50 foot lengths and our maximum work opening is 10 foot high by 10 foot wide. 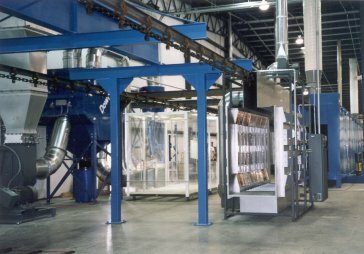 With powder application parts can be racked closer together, allowing more parts to be coated in a set period of time, resulting in greater operating efficiency and lower unit cost. Since powder coated parts virtually have no drips, runs, or sags, the reject rate is very low. Light assembly work can also be performed. If you can move it on a truck, we can powder coat it for you. With this batch oven we can load complex shaped large parts up to 12,000lbs onto our 3 over head I-Beam conveyors. Heavier parts are loaded onto carts. Long parts have traditionally been difficult to coat. 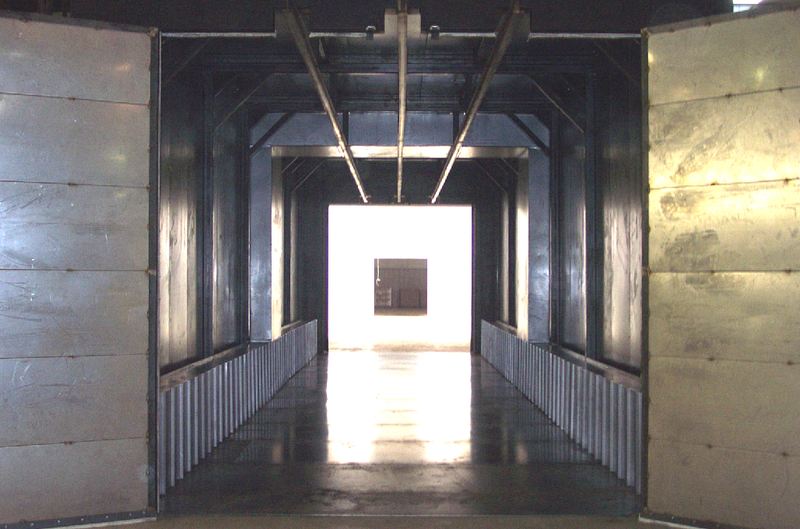 Most finishing lines have overhead conveyors that incline and decline at different phases of the coating process. Our line was designed with long parts in mind. 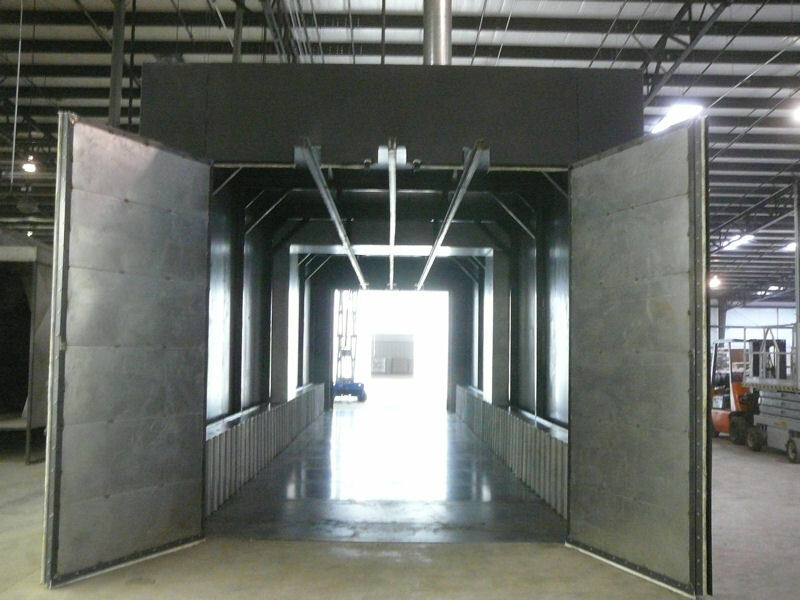 The entire conveyor system is on one level with all structural support being on the inside. This allows parts to kick out on the turns with no supporting structure to get in the way. Your long parts will effortlessly glide around our finishing line. 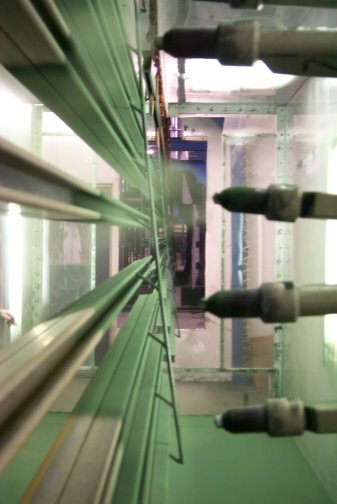 Our in house rack building experts can design and fabricate custom racking systems to hold your parts efficiently. Whether your part is only 1/2” square or 40 foot long we have racks to hold your parts. Even the heaviest parts can have racks designed to hold them.